Subtext Projects presents. . .
Gallery hours: Saturday & Sundays, noon–5 pm; weekdays by appointment. Ride, Johnny, Ride features works by Ant Farm and T.R. Uthco, Paula Curran, and Kurt Mueller that each respond to the 1963 assassination of President John F. Kennedy. 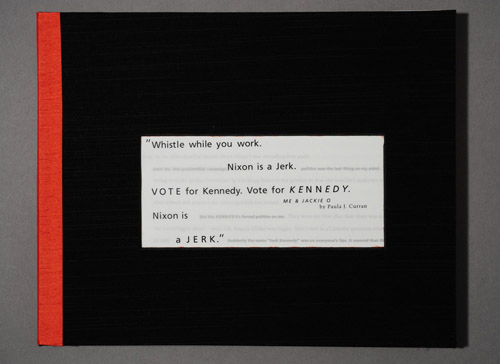 The exhibition title is taken from the Misfits' subversive 1978 song about the shooting, "Bullet." 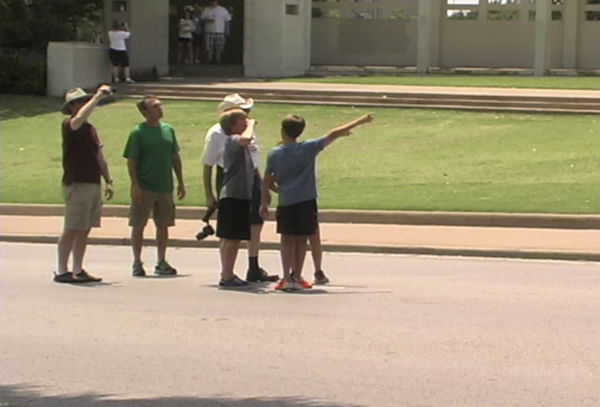 Soon approaching its fiftieth anniversary, the Kennedy assassination occurred mere miles from 500X Gallery in Dallas. It is an event few experienced in person, yet it is an extremely familiar topic to all Americans—mostly through extensive media coverage, and a media-driven, societal obsession with conspiracy theories and dead celebrities. Each artwork in the exhibition touches on various responses to this historical tragedy and how individuals choose to locate themselves within the event; whether by reenacting the incident to explore the media's conflation of spectacle, tragedy, and entertainment in its coverage (Ant Farm and T.R. Uthco); by creating a personal narrative relating one's self to the Kennedy family (Curran); or by documenting Dealey Plaza tourist pilgrimages to such empty tombs, or cenotaphs, where they are often seen photographing themselves on site (Mueller). 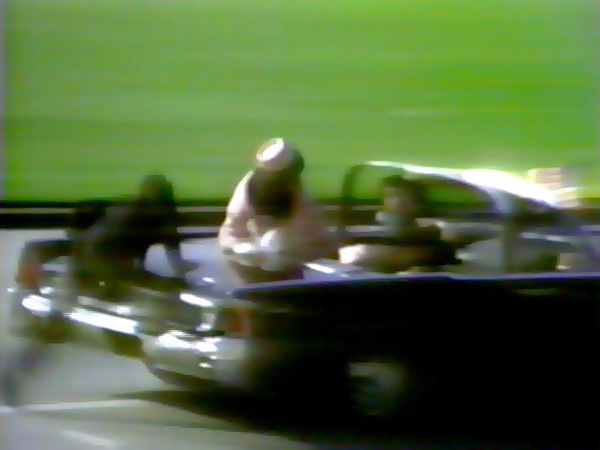 Kennedy's assassination was only captured by one individual, Abraham Zapruder, on a home-movie camera, thus our collective memory of this event is mostly composed from scant images, reenactments, and a plethora of news reports, which calls into question the distance between reality and image and the media's ability to infuse substance with drama. As the actor playing the President in Ant Farm and T.R. Uthco's The Eternal Frame (1975) states, "I am, in reality, only another image on your screen." Perhaps because most of us only know of the assassination and the Kennedy family as images, this fuels our desire to place ourselves within the event through tourism, narratives, and reenactments—and to somehow make it our reality. Ride, Johnny, Ride is organized by Alison Hearst and Leslie Murrell of Subtext Projects.